3 Best Clash Royale Arena 1 Decks! 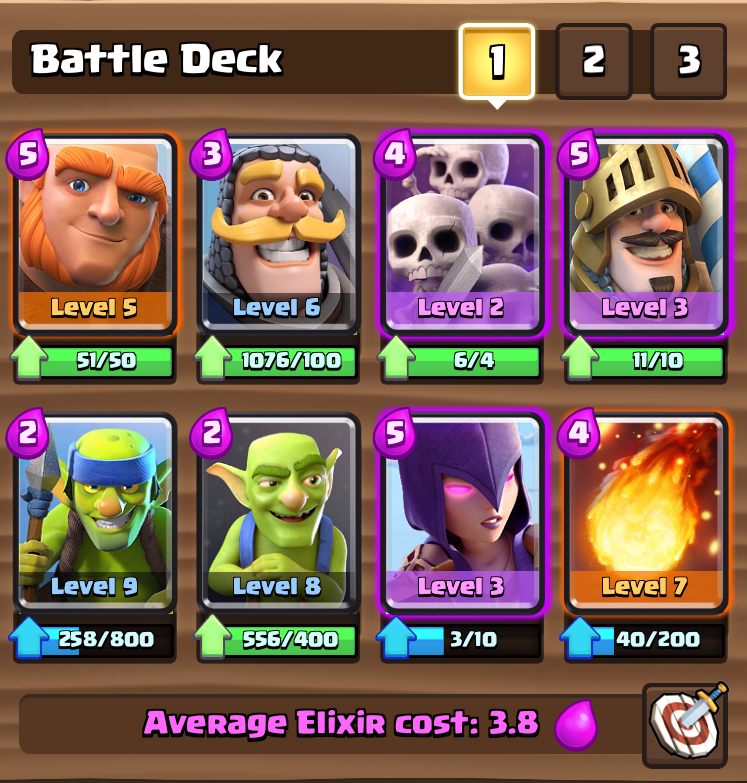 A lot of players have been asking what good decks to use in each arena in Clash Royale, so today and onwards, I will be sharing the best decks for each arena, starting with the best decks in Arena 1. 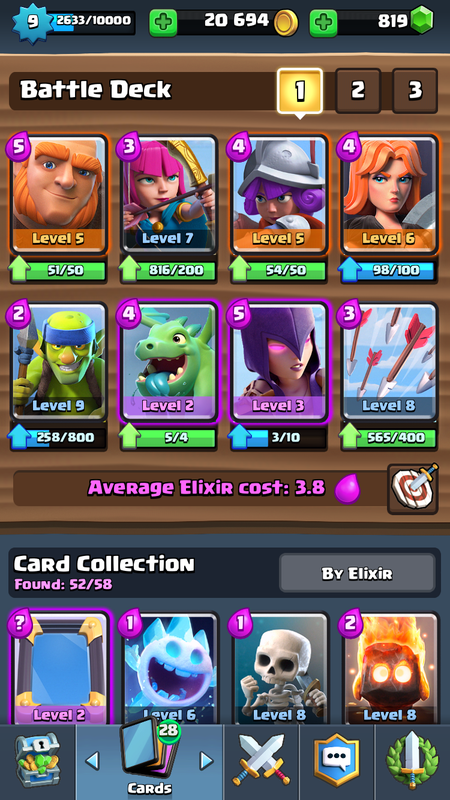 Our first best deck for Arena 1 is a giant witch deck which is really strong down in Arena 1. Of course, I know you guys don’t have all the epics in Arena 1, but if not try to fill in one. 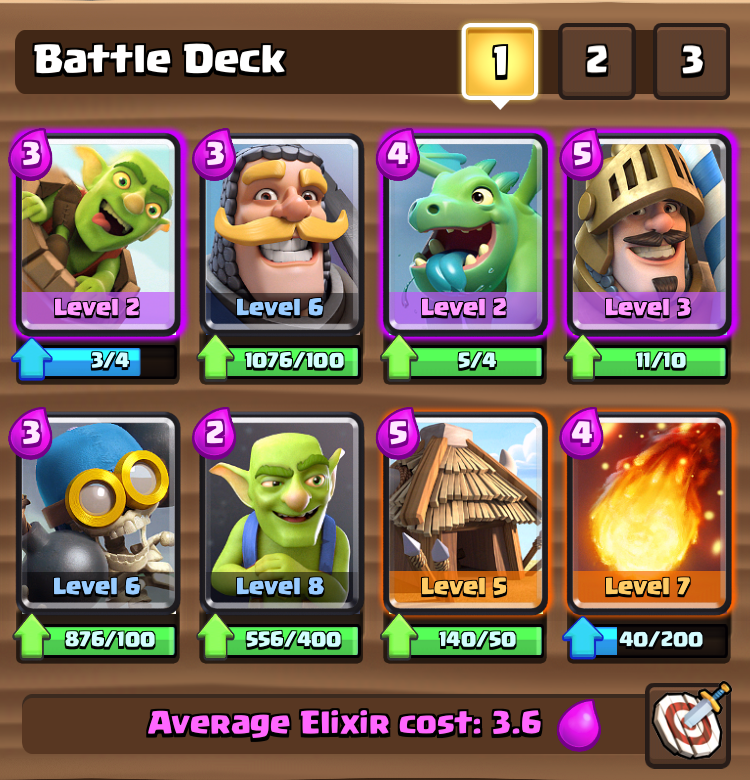 This deck features a lot of offensive and defensive cards that can be used to defend or attack a tower. Ideally, you want to send the giant in first, with other troops in behind. At a 3.8 overall cost, this deck is pretty cheap and good for a quick counter. The goblin barrel recently got a huge buff, with it now costing 3 elixir and all players should definitely take advantage of this. My advice for using this deck: place down your spear goblin hut, then play prince and let the tower lock on the prince, which is then followed up by a goblin barrel to the tower. The goblins will do insane damage when they aren’t being shot and spear goblins behind the prince will only increase that damage. The giant prince deck is simply made for double lane pushing. 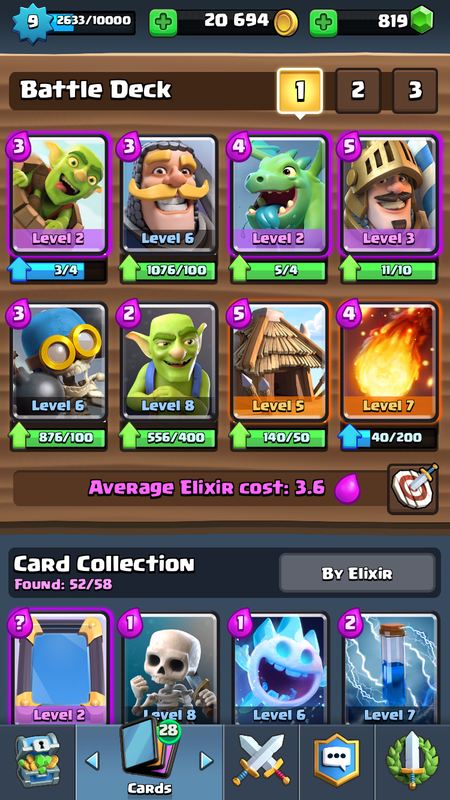 The best way to play this deck is to wait until double elixir and then place a giant in the back. Wait until you get 10 elixir, then place the prince on the other side. Follow these two units up with some goblins or a witch if you manage to have 5 elixir. Your opponent will freak out and most likely only counter one of your pushes, leaving one tower completely open. ← 5 Best Cards in Clash Royale! Pingback: 3 Best Clash Royale Arena 1 Decks! | Clash of Clans Guide, Strategies, Tricks and More!